Via Free Frequent Flyer Miles, you can now get two free weekend nights at any Hilton family hotel for signing up for DirecTV. This is similar to the offers I’ve posted about in the past for 25,000 to 30,000 miles for signing up for DirecTV which can be viewed here and here. You do need to signup for a two year contract and with rates starting at $19.99/month it could make sense if you are looking for a new TV service. If I was interested in signing up, I most likely would take the 2 Free Weekend Hilton Nights over the miles since I would maximize those nights at high end hotels that go for $500+ a night. Since these certificates do expire in a year, if your travel patterns over the next year doesn’t include any high-end Hilton hotel stays, then maybe the miles is the better choice. As always, evaluate your travel plans before deciding which offer is better for you personally. I think all offers expire January 5th but they might be extended. 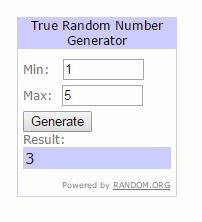 On a different note, the winner of my 20% off Southwest code giveaway was Scott with entry #3 per the random generator number. Congrats and hopefully you can use it to save some valuable points on your next flight. Update: Per Gary in the comments there is an offer for 60k points. See my response in the comments but I believe both offers to be equal. The offer I listed below requires $750 in spend as opposed to $1,000 for the 60k offer. 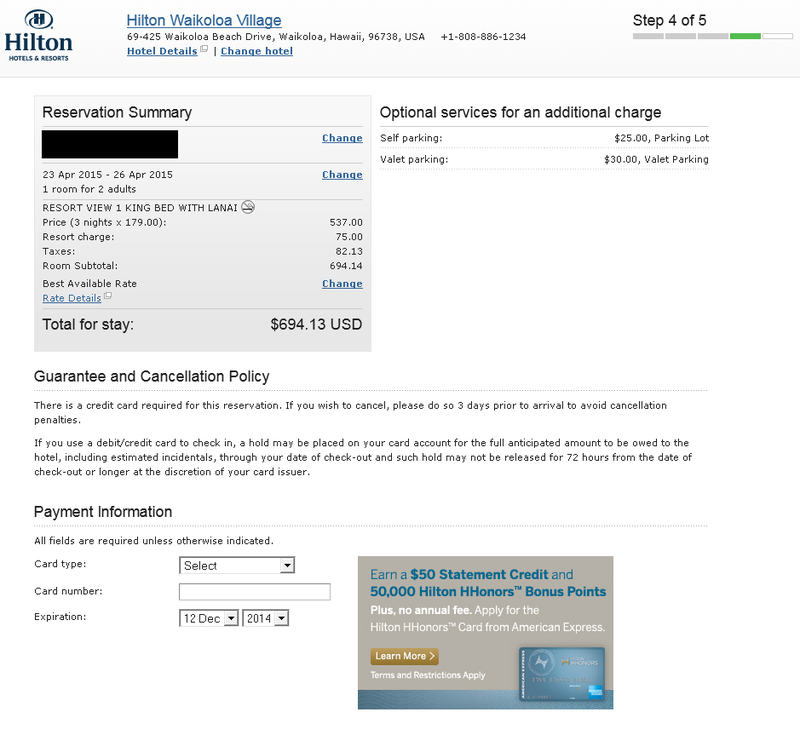 I was in the processing on making a reservation today on Hilton.com (they had $99 rooms at the Hilton Waikoloa Village as part of their Cyber Monday promotion which worked out great for my trip to the Big Island in April) and I noticed a better offer for the no annual fee American Express Hilton HHonors credit card of 50,000 HHonors Points and a $50 statement credit! The public offer is currently 40,000 points with no statement credit. The only way to get this offer to appear is to go through the process of booking a hotel room on hilton.com and on the payment page you will notice a small box in the lower right hand corner with the credit card offer. You do not have to book a room to get this offer to appear. While this is an improved offer over the public one, this isn’t an amazing offer as 50,000 points will not even get you a free night at some mid-tier Hilton family hotels. After the massive Hilton devaluation last year, Hilton points are only good for low to mid tier hotels (see award chart below). For hotels in the higher categories, I would recommend other Hilton credit cards like the Citi Hilton Reserve before this one. 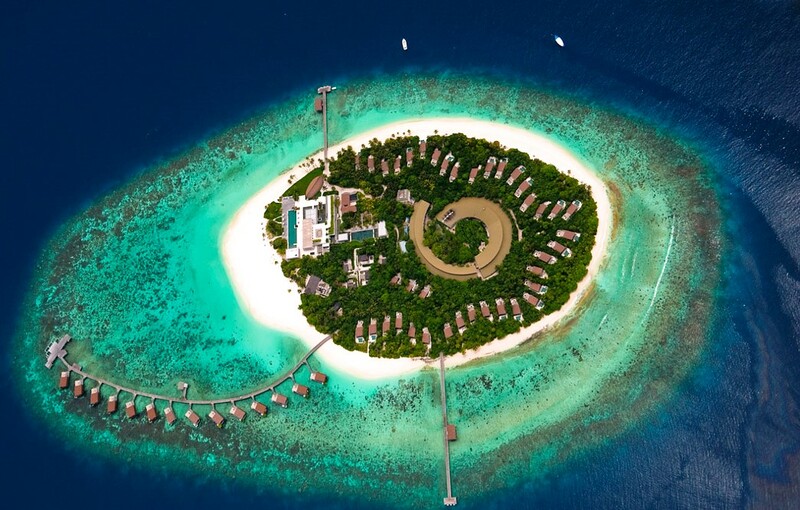 I personally have this card as I used it in the past to book a AXON award for my honeymoon in Bora Bora – back then you could book a 4 night stay at the Hilton Bora Bora for only 145,000 points total! Now, a single night goes for 95,000 points or 300,000 points with the new AXON awards! 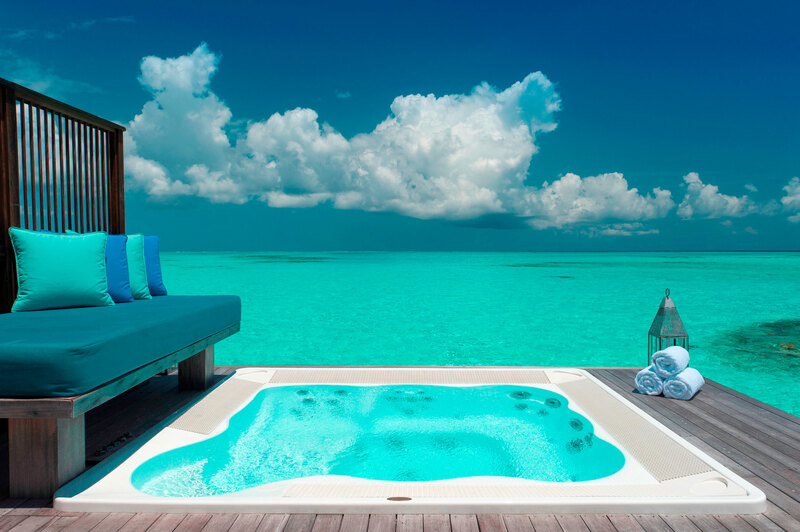 If you plan on using Hilton points for aspirational hotels, I would pass on this offer and focus on a card like the Citi Hilton Reserve which offers two free weekend nights at any Hilton in the world. I can only recommend this offer if you 1) have applied for pretty much every other Hilton credit card or 2) need to increase your Hilton balance quickly to book an award stay. I could also see recommending this card if you know you could actually take advantage of the low point rates at the category 1-4 hotels though I imagine for most those hotels do not align with their travel goals. American Express is currently running three different transfer bonuses to convert Membership Rewards points into either Starwood, Hilton or Virgin Atlantic points/miles. I’ll recap each one briefly and give you my opinion whether any of them are worth taking advantage of. 1. 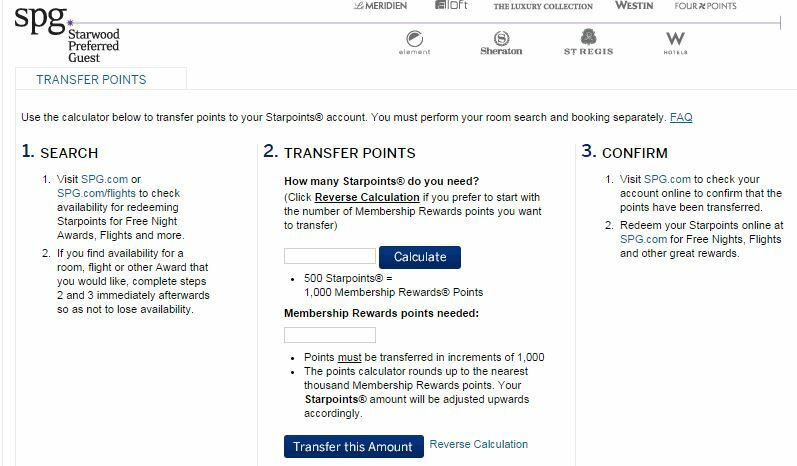 50% Transfer Bonus to Starwood SPG (Targeted) – The biggest transfer bonus on the list at 50% but unfortunately all that means is that you can convert Amex points at a 2:1 ratio instead of the standard 3:1 ratio. Starwood points are more valuable than Amex Membership Rewards points but not double the value in my book. One possible way this promotion could work though is to transfer to an airline that is not a transfer partner of Amex but is a partner of Starwood. As you might know, if you transfer 20,000 Starwood points to an airline, you automatically get a 5,000 point bonus so if you were to transfer say 40,000 Amex points over to Starwood, you could end up 25,000 airline miles in programs such as Alaska or American, places you cannot transfer to Amex points too normally. By using Starwood as the “middleman”, you can backdoor your way into all of Starwood’s transfer partners here. I don’t have a personal need to do this but this could make sense for some. This transfer bonus expires on 11/30. 2. 35% Transfer Bonus to Virgin Atlantic – Even though Amex is offering a 35% on transfers to Virgin Atlantic, I’ve discussed how Virgin miles can be difficult to use (though View From the Wing has some great uses of Virgin miles). You can’t depart London without incurring huge fuel surcharges but Virgin Atlantic is a great option to go TO London which is only 13,125 miles + $134 as I’ve written about before here. Another possible use of their points is on Virgin America, especially if you live on the West Coast as it is only 10,000 miles one way on certain routes, such as LA to San Fran. I am going to sit the transfer out as I just applied for the 90,000 Virgin Atlantic Mastercard and I have no pressing needs for more Virgin miles. This transfer bonus expires on 11/30. 3. 33% Transfer Bonus to Hilton HHonors (Targeted) – Amex’s hotel partners are historically pretty bad so its not that surprising to see that even with a transfer bonus, this is a bad deal. 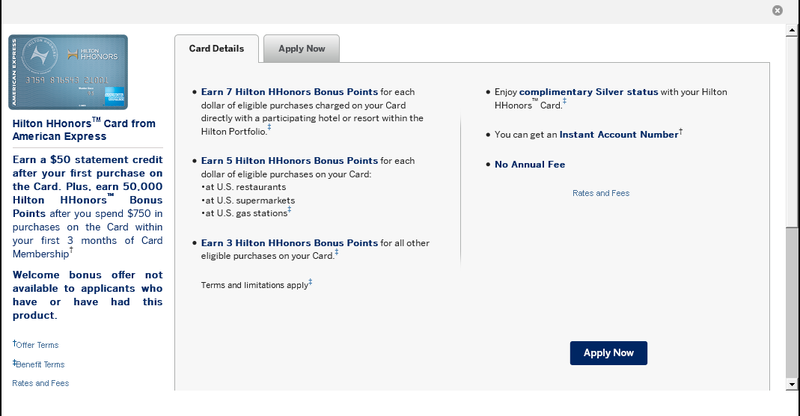 In this case, a 33% transfer bonus to Hilton means Amex points convert at a ratio of 1:2 instead of the standard 1:1.5. Unfortunately, Hilton gutted their award chart a few years ago and any upscale property is for the most part an unreasonable amount of points. I’m talking 95,000 HHonors points for a single night stay when you used to be able to get a 4 night stay at the same property for 145,000 points (ex. Hilton Bora Bora). I don’t mind plan on taking advantage of this transfer bonus and don’t suggest it either unless you need to top off your account for an award stay. This transfer bonus expires on 11/30. 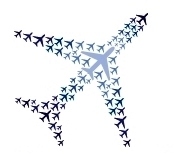 My Latest App-O-Rama Results – 322,500 Points & Miles in Signup Bonuses! I like to apply for credit cards about every 3-4 months or when there is a great, limited time offer. I generally apply for all my cards in one day as long as I am comfortable that I can meet the spending requirement on all of them. Before I go any further, I want to point out that what I applied for is not recommend for everyone and certainly not beginners. If you are new to this hobby, there are many cards you should get before even sniffing some of these (except for maybe the Arrival plus). I did what works for me, as I’ve already had almost every big travel credit card there is in this game, so this round of applications was about cleaning up and getting cards I haven’t had. Without further ado, here is what I applied for, my thoughts behind each card and how I will earn 322,500 points & miles in the next few months. I will list them in the order I applied for them, in the order of most important to me to least. 1) Barclays Arrival Plus – I actually first applied for this card in back in August 2013 and until this day, it was the only credit card I have ever been denied for. No matter how many times I tried a reconsideration phone call, Barclays would not approve me back in 2013 as they were concerned about too many recent inquiries. A new year though, brought better luck as I was approved instantly for this card. This is actually a cash back card but its the most useful for travel hackers as you earn 2% back on all spending every day, all day. It offers 40,000 points for spending $3,000 in 3 months but the perk to this card is that when redeeming for travel, you get 10% of the points back in your account! So if I redeem 20,000 points to cover a $200 flight I don’t want to pay for, my net point cost is actually 18,000 as 2,000 points will be placed back into my account immediately to use on a future travel expense. This card is good for times where it doesn’t make sense to use traditional points or miles to pay for a flight or hotel but you still want a “free trip”. You can simply put the charge on this card, reimburse yourself with points (up to 120 days later) and you get 10% of the points used back in your account. You also get chip & pin capability, no foreign transaction fees and access to your real FICO credit score included. Not too shabby for a cashback card. Summary: 40,000 points (worth up to $440 in free travel, factoring in 10% rebate). $89 annual fee waived for first year. 2) Chase Ritz-Carlton Rewards Credit Card – As stated above, I like to apply for cards every 3-4 months or when there is a limited time offer and this card qualifies as a limited time offer as it offers 140,000 Ritz Carlton points for spending $2,000 in 3 months. This offer is only available by applying via phone at 1-888-846-7004 and you must give them this offer code “F5BP” to get this offer. There is also an offer for 70,000 points but with the annual fee waived using offer code “F53K”. I was not instantly approved, it was marked as “pending” but after a call to the reconsideration line, I was approved. In addition to the 140k Ritz Carlton points, which could be used for several free nights at Ritz Carlton or Marriott hotels (since they are partners), you will also receive $300 in airline travel credits each calendar year, Ritz Carlton Gold Status for the 1st year, Lounge club access in airports and 3 Ritz Carlton upgrade certificates. The biggest perk is the $300 airline travel credit, which is meant to cover baggage fees, seat upgrades among other fees but can unofficially be used to buy airline gift cards. It is not meant to cover airline gift cards (just like the Amex Platinum card) but this thread on Flyertalk suggests its possible. I’ll consider this $600 in airline gift cards for me in the first year of membership since it will span two calendar years. Summary: 140,000 points + $600 in airline gift cards + other small benefits mentioned above. $395 annual fee NOT waived for first year (but with the points and $600 in gift cards I obviously come out way ahead). 3) Bank of America Virgin Atlantic World Elite MasterCard – I broke the news on the increased offer on this card two weeks ago and the increased signup bonus timed well with my round of applications so I added it to my applications. Even though the offer posted is for 90,000 miles, it requires you to spend $25k in one year on the card which I won’t do. I broke down the details of this offer here and it requires you to spend $12,000 in 6 months for 75,000 miles (assuming you add 2 authorized users) or you can get 82,500 miles if you spend an additional $3,000 in the first year. This is what I plan on doing, so I considered this a 82,500 signup bonus. I was actually denied for this card but after a call to the reconsideration line, I was approved (there will be a future post with more about this). Virgin Atlantic miles aren’t the most useful since they are have a limited route network to/from London and they tack on fuel surcharges which can be several hundred dollars . However, the miles are useful for going to London in economy (only 17,500 miles + $98 in taxes/fuel surcharge) but don’t use this option for departing London since the taxes are much higher. Other useful redemptions include using them for flights on Virgin America, Hawaiian Airlines and transferring to Hilton at a ratio of 1 Virgin Atlantic mile to 1.5 Hilton HHonors points). Summary: 82,500 miles. $90 annual fee NOT waived for first year. 4) Citibank Hilton HHonors Visa Signature – I will fully admit this card is far from great and is probably one of the weakest cards I’ve ever signed up for. It offers only 60,000 Hilton HHonors points which may sound like a lot of points but with Hilton’s devaluation last year, that isn’t worth much. The upside is there is no annual fee on this card, so I can keep for it forever to help with the average age of my credit accounts, and it gives Hilton Silver status. That doesn’t help me since I already have Gold status from the Hilton Reserve credit card but its a nice fallback in case I ever cancel the Reserve card. I was actually denied for this card but after a call to the reconsideration line, I was approved (there will be a future post with more about this). The reason I don’t recommend this card to many of you is 60,000 Hilton HHonors points don’t even cover a free night at a high end Hilton hotel (it will only cover one free night a mid-tier hotel or several nights at a low-tier hotel). There are so many better hotels cards and even Hilton cards to apply for before this one. The reasons I applied for this card is I have had pretty much every other Hilton credit card and these 60,000 points will push me up to about 240,000 HHonors points so I should be able to do something decent with those points. Additionally, this was a limited time offer that expired on 9/1 so if I ever was going to apply for it, it might as well be when the signup bonus is at its highest. Summary: 60,000 points. NO annual fee. Total Summary: 322,500 points + $600 in airline gifts cards for annual fees of $485 in the first year for signing up for four credit cards. In closing, this was a very successful round of credit card applications as I got to acquire a few of the “second tier” credit cards that I never had and I timed it right that I ended up with the highest ever offers on 3 of the cards. It gives me some traditional points and miles but also the flexibility of points from a cashback card that will cover my travel expenses when it doesn’t make sense to use traditional points and miles. *Disclaimer – NO affiliate links were used in this posting. I do not have any nor will I as it is an inherent conflict of interest with my consulting services. If you have questions on applying for credit cards or want to know what is the best card(s) for you, email me at ralph@pointscentric.com or contact me via the consulting services page.